This redwood hot tub is on the end of a deck used to enter and exit the tub. 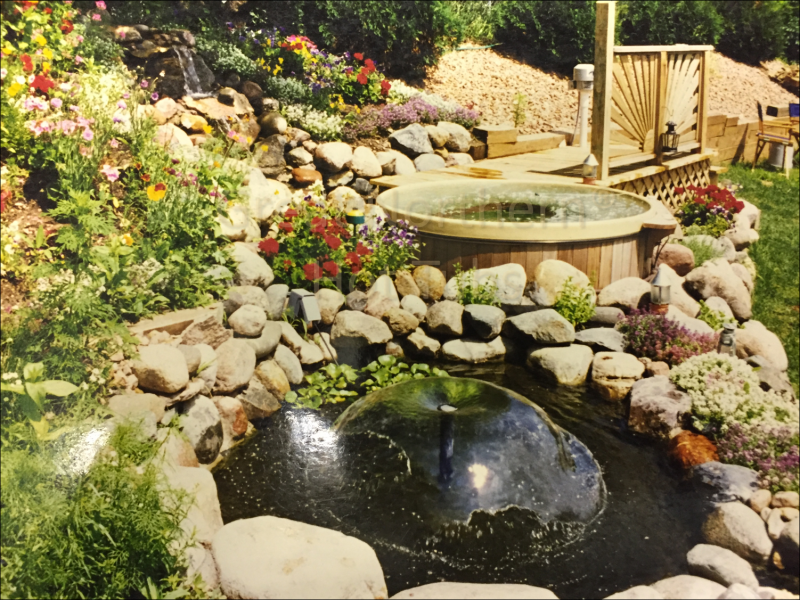 The surrounding rock garden and pond give it a Japanese-like flair. Perfect for relaxing your mind and relieving your stress.